The Crossroads project, led by Professor Friederike Lüpke, is a five year project running from 2014 to the end of 2018. It investigates multilingualism and language contact between three languages spoken at the “crossroads” – a group of neighbouring villages in the Casamance area of Senegal, West Africa. 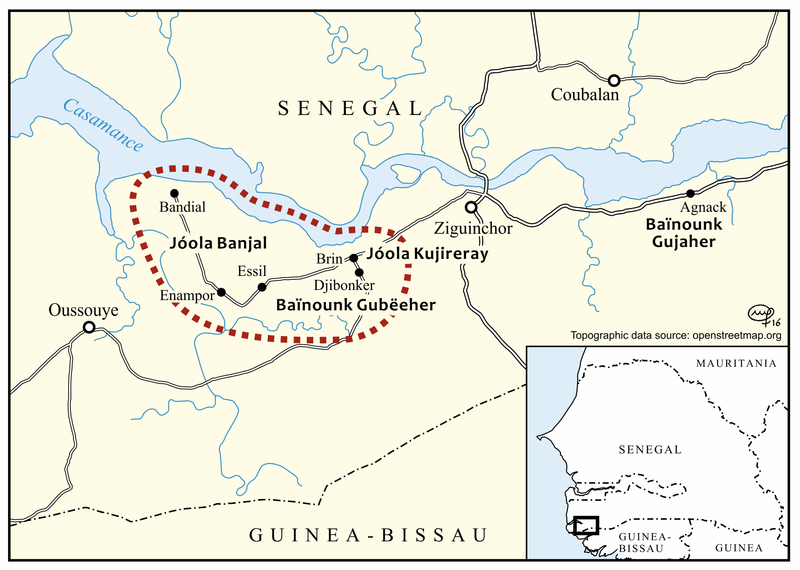 The languages are Baïnounk Gubëeher, Joola Kujireray and Joola Banjal. Researchers are utilising a fourth language, Baïnounk Gujaher, as a control language. The results of the project will reveal through a social network study in which areas the languages influence each other least and most in structure, lexicon and speech-accompanying gesture. We also investigate the ideologies that underlie the complex multilingualism at the Crossroads. The project is supported by a Leverhulme Trust Leverhulme Research Leadership Award totalling nearly £1million. These awards enable university researchers to investigate an innovative research question in order to establish themselves as research leaders in their field.